The US International Trade Commission (USITC) is a branch of the US Government that offers an alternative forum for patent enforcement. There are a number of benefits to pursuing an action in the USITC as well as a number of quirks. Importantly, the USITC has no authority to award damages for patent infringement — rather, the sole available award is an exclusion order that would block infringing imports. 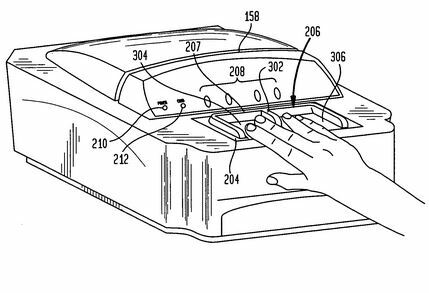 Here, Cross Match’s asserted patent covers a fingerprint-scan methodology that includes both hardware and software. In this case, the hardware is manufactured abroad and imported by Suprema and then, once in the US, combined by Mentalix with the software to make a product used to infringe. Of importance, the imported hardware does not – by itself – directly infringe the patent. However, the USITC found that Suprema was liable for inducing infringement under 35 U.S.C. 271(b). On appeal, the Federal Circuit reversed – holding instead that the USITC’s power only extends to block articles that are themselves infringing at the point of importation. The result for this case is that the inducement theory of infringement could not stand because the direct infringement that is predicate for an inducement holding was not occurring until after importation. Oddly, however, the majority did find that the USITC may still have power when the cause of action is contributory infringement rather than inducement. This distinction was based upon the notion that inducement is focused on the “conduct of the inducer” and “is untied to an article.” Judge O’Malley penned the Federal Circuit opinion and was joined by Judge Prost. Writing in dissent, Judge Reyna argued that the majority opinion “overlooks the Congressional purpose of Section 337, the long established agency practice … of conducting unfair trade investigations based on induced patent infringement, and related precedent by [the Federal Circuit] confirming this practice.” Judge Reyna provided a full-page long string citation of decisions where the USITC issued exclusion orders based upon an inducement theory where the direct infringement occurred post-importation. Now, both the USITC and the patentee Cross Match have petitioned the Federal Circuit for a rehearing en banc and the Court has offered some signal that it is interested in the case (requesting briefing from the accused infringers). In the en banc request, the US Government makes an interesting argument that the Federal Circuit precedent is contradicted by the Supreme Court’s decision in MGM v. Grokster, 545 U.S. 913 (2005) as well as the Federal Circuit’s decision in Standard Oil v. Nippon Shokubai Kagaku Kogyo, 754 F.2d 345, 348 (Fed. Cir. 1985). The Grokster case is a copyright case, but is directly applicable for a number of reasons, including the fact that the USITC statute at issue also provides jurisdiction over cases involving imports that infringe US copyrights. The basic notion from Grokster is that inducement is infringement, and that culpability can attach well before the later direct infringement by another. In Standard Oil, Judge Rich wrote that inducement attaches “as of the time the [inducing] acts were committed, not at some future date.” Of course, the inducement doctrine has been significantly tightened since Judge Rich’s time. And the language of Grokster is not as direct and on-point as the US ITC suggests. Still, the government and Suprema (as discussed below) make a strong case that the original panel decision is wrong. I suspect this case will be moving forward. It will be interesting to see whether the original panel retracts its opinion or whether the en banc court is forced to act. Most U.S. patent litigation takes place in federal district courts. However, when an infringing product is imported into the U.S., the patentee typically has a right to complain to the U.S. International Trade Commission (USITC) and to request an order that blocks the infringing products from entering the U.S. under Section 337 of the Tariff Act of 1930 (as amended). The USITC was formerly known as the U.S. Tariff Commission and, despite its current "international" name, the agency is fully within the U.S. government. The USITC offers benefits for patentees over federal court litigation. In particular, the USITC often reaches its conclusion in less time and is not bound by the equitable limitations on injunctive relief. However, damages are not available and USITC orders are subject to more political control via presidential review of exclusion orders. A major caveat to the Section 337 actions is that the USITC only has power to act to protect a "domestic industry." In this case, the Federal Circuit appellate panel has affirmed the USITC's judgment that the patentee, PPC, failed to prove the existence of a domestic industry related to its patented coaxial cable connectors. (U.S. Design Patent No. D.440,539). Domestic Industry. Section 337(a)(3) defines a domestic industry for articles protected by intellectual property. Under the statute, a domestic industry "shall be considered to exist if there is in the U.S."
C. substantial investment in its exploitation, including engineering, research and development, or licensing. To qualify, these activities must be tied to the patent, copyright, trademark, mask work, or design being protected. To be clear, the nexus must be fairly tight. Here, the ITC ruled that there was a domestic industry for some of PPC's asserted patents but no domestic industry for this particular patent – even though the patents are in the same priority family. PPC is a US company that designs and manufactures cable connectors. PPC does not itself manufacture any product covered by the '539 patent. However, it has previously filed (and won) a number of prior lawsuits against infringers and, in one instance, licensed the '539 patent as part of a settlement agreement. Here, it was clear that PPC had made "substantial investment" in protecting its patent rights through litigation and the patentee argued that investment fits within the "licensing" prong of 337(a)(3)(C)'s domestic industry definition. On appeal, the Federal Circuit acknowledged that the statute does not indicate whether litigation expenses can count toward licensing investment. In resolving the issue, the panel held that infringement litigation expenses will not normally be counted as licensing investment even if the result of the litigation is a license — otherwise the domestic industry requirement would be effectively meaningless. The court noted that litigation expenses may count toward licensing investment if, for instance, PPC had offered to license the patent prior to litigation or otherwise conducted settlement or licensing negotiations during the litigation. The fact that PPC asked for injunctive relief in the prior litigation was also used as evidence that the prior litigation was directed toward protecting exclusive rights rather than part of a licensing initiative. Standing: PPC had actually won its case at the USITC, but on a different patent. In the appeal, the USITC argued that PPC had no standing to appeal the favorable decision. The Federal Circuit rejected that argument — holding that PPC had a separate interest in obtaining a general exclusion order in the '539 patent even though all currently identified products will be excluded based upon the separate patent. Dissent: Judge Reyna dissented — arguing that a patentee's infringement litigation expenses should count toward the licensing prong of the domestic industry requirement. Judge Reyna here provides a full analysis of the case that both explains his legal and factual arguments for reversal. Verizon and Google combined forces to file a brief of amici curiae arguing that litigation expenses should not be counted in the domestic industry inquiry. These industry-giants were concerned that the court would open the door for non-practicing entities to assert their rights in the USITC. They argue "Patent litigation is not a protectable domestic industry." Download GoogleVerizonITCBrief. For those interested in studying USITC litigation, some excellent recent analysis of the judicial body has been done by Colleen Chien and Sapna Kumar. You may also want to download the Section 337 Practice Guide. Deference to ITC Claim Construction Decisions? Erbe’s patent appears to cover aspects of a surgical flesh-welding technique known as argon plasma coagulation (APC). After narrowly construing the claimed plurality of endoscopic “working channel,” the ITC found no evidence of direct infringement. On appeal, the Federal Circuit affirmed. I’ll avoid the claim construction particulars, but focus here on whether the Federal Circuit can properly review ITC Claim Construction decisions de novo. Claim construction is a matter of law, and under the Administrative Procedures Act, the Federal Circuit reviews ITC decisions of law for “correctness.” However, in the usual course, agency decisions interpreting a matter of law are ordinarily given at least Skidmore level deference. See Christensen v. Harris County. The ITC found that the CD-R and CD-RW disks imported by Princo violate a handful of Philips patents that cover industry standard compact disk technology. On appeal, the adjudged infringer argued that the patents should be unenforceable under the equitable doctrine of patent misuse. Giving some credence to the argument, the Federal Circuit vacated-in-part and remanded for further proceedings to determine whether Philip’s misused its patents by allegedly agreeing with a competitor not to license-out would-be competing technology. Misuse is an antitrust theory that attempts to restrain a patentee from over-extending the anticompetitive strength of the patent rights in ways “contrary to public policy.” In some situations the antitrust authorities allow multi-company patent pooling as a way to promote foundational development and convergence. See Herbert Hovenkamp, Mark. D. Janis & Mark A. Lemley, IP and Antitrust § 34.4, at 34-20.1 (2009) (“Typical procompetitive benefits [of patent pools] include the clearing of blocking positions, the advantages flowing from integration of complementary technologies, and the cost savings from avoiding litigation.”). These agreements may be reviewed under the rule of reason for pro-competitive benefits. In the early 1990’s Philips, Sony, and others formed a patent pool to cover CD-R and CD-RW technology and – in the process – defined the industry standard. Philips licenses the pools (but not individual patents) — charging a per disk royalty and requiring that the licenses be used only to make CD’s that comply with the defined “Orange Book compliant” standards. When Princo refused to pay the royalty, Philips sued for infringement in the ITC. 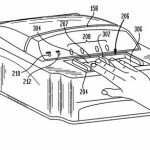 This appeal focuses on one particular patent in the pool – Sony’s U.S. Patent No. 4,942,565 (“Lagadec”). Lagadec claims a digital process for identifying the laser position. The patent pool also includes a patent covering a similar analog process for identifying the laser position developed by Philips. And, in fact, the defined standard requires that the analog process (not the digital process) be used. We thus think that perfect certainty is not required to avoid a charge of misuse through unlawful tying. Rather, in this context a blocking patent is one that at the time of the license an objective manufacturer would believe reasonably might be necessary to practice the technology at issue. Indeed, even if the patents are only arguably conflicting, there are strong reasons to permit the settlement of patent disputes by means of a cross-licensing agreement. Not only will judicial economy be served and litigation costs reduced by settling such disputes, but the delay and uncertainty associated with blocking patent disputes may prevent either party from going forward with a commercial product for years while litigation is pending. Where two or more patents are arguably blocking, therefore, settling the dispute by means of cross-licensing is likely to be procompetitive. Here, for instance, by licensing Lagadec, a manufacturer has more certainty that licensing the pool will avoid later allegations of infringement — a major goal of the standard setting operation. Cutting-off Alternatives: By including Sony’s Lagadec patent in the pool but then preventing manufacturers from using the digital process, Princo argued that Philips improperly colluded to sequester the work-around technology from competitive development. In Princo’s words “Philips bribed Sony not to use . . . Lagadec to compete against the [Philips dominated standard].” On appeal, the Federal Circuit agreed with Princo that such collusion could be misuse even if the patent included “essential” claims. It is one thing to offer a pooled license to competing technologies; it is quite another to refuse to license the competing technologies on any other basis. In contrast to tying arrangements, there are no [pro competitive] benefits to be obtained from an agreement between patent holders to forego separate licensing of competing technologies, as counsel for Philips conceded at oral argument. . . . Agreements between competitors not to compete are classic antitrust violations. . . . Agreements preventing patent licensing of competing technologies also can constitute such violations. On remand, the ITC must determine whether Princo has provided sufficient evidence to show that Sony and Philips agreed not to separately license Lagadec as competing technology and that the digital technology could have been a viable alternative. Dissent in Part: Dissenting in part, Judge Bryson would have fully affirmed the ITC’s findings. In 2008, the BPAI affirmed the examiner’s rejection of Gleave’s claims as anticipated. The claims focus on an antisense oligodeoxynucleotide designed to bind two different types of insulin-dependent growth factor binding protein (IGFBP). The prior art included a document that listed the genetic sequence of the complementary sense strands but did not identify any utility of the sequence. On appeal, the Federal Circuit affirmed the anticipation rejection – basing its decision on the rule that anticipatory prior art does need to be functional, useful, or show actual reduction to practice. Rather, to be anticipatory, the prior art must enable the skilled artisan to make the claimed invention. A claim by Gleave with functional language might not have been anticipated by the prior disclosure of the bare sequence. Patent Reform: Senator Kyl Introduces the alternative Patent Reform Act of 2009; This bill is more patent-holder friendly than the Leahy bill. The Leahy bill may see some action in Committee on March 26, 2009. Patent Reform: Inequitable Conduct: Although a co-sponsor of the Leahy Act, Senator Hatch has suggested that the reforms should include reforms of inequitable conduct proceedings. ITC: The res judicata effect of ITC Section 337 Decisions: Nil. Personnel: Gov. Gary Locke is President Obama’s nominee for Secretary of Commerce. Barring some unknown tax snafu or AIG relationship, is expected to be confirmed quickly. In his Senate testimony he mentioned the politically correct goal of reducing the PTO backlog along with creating a foundation for long-term economic growth; improving weather forecasting, and managing our fishing industry. Personnel: The PTO needs three new members of its Patent Public Advisory Committee (PPAC). Current members include Kevin Rivette (Rembrandts in the Attic), Louis Foreman (CEO / Inventor), Scott Kieff (Conservative Law Professor), Damon Matteo (PARC innovation & licensing chief), Doug Patton (inventor & industrial designer at PattonDesign); David Westergard (IP guy at Micron – Looking to water-down patent rights), Marc Adler (former Chief of IP at Rohm & Haas), Steve Pinkos (former Deputy to Jon Dudas), and Maureen Toohey (Solo practitioner; former GC of a Dean Kamen’s DEKA company). I believe that Rivette, Patton, and Westergard will have reached the end of their terms this year and will be replaced.